Models of Innovation. The History of an Idea. B. Godin (2017), Models of Innovation. The History of an Idea. MIT Press eBooks. Models abound in science, technology, and society (STS) studies and in science, technology, and innovation (STI) studies. They are continually being invented, with one author developing many versions of the same model over time. At the same time, models are regularly criticized. Such is the case with the most influential model in STS-STI: the linear model of innovation.In this book, Benoît Godin examines the emergence and diffusion of the three most important conceptual models of innovation from the early twentieth century to the late 1980s: stage models, linear models, and holistic models. 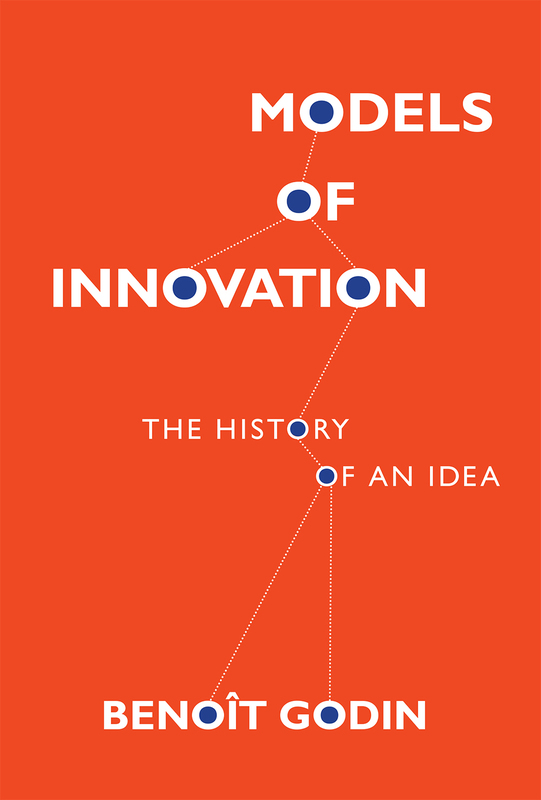 Godin first traces the history of the models of innovation constructed during this period, considering why these particular models came into being and what use was made of them. He then rethinks and debunks the historical narratives of models developed by theorists of innovation. Godin documents a greater diversity of thinkers and schools than in the conventional account, tracing a genealogy of models beginning with anthropologists, industrialists, and practitioners in the first half of the twentieth century to their later formalization in STS-STI. Godin suggests that a model is a conceptualization, which could be narrative, or a set of conceptualizations, or a paradigmatic perspective, often in pictorial form and reduced discursively to a simplified representation of reality. Why are so many things called models? Godin claims that model has a rhetorical function. First, a model is a symbol of “scientificity.” Second, a model travels easily among scholars and policy makers. Calling a conceptualization or narrative or perspective a model facilitates its propagation. Benoît Godin is a Professor at the Institut national de la recherche scientifique, Montreal.